When we became a company in 1957, we started with little more than a home office in Western Springs, Illinois. In fact, it would be another ten years before Metropolitan Pump Company (as we were then known) even became incorporated and another year after that before we moved to our first official facility: A modest 2,500 SF location in Downers Grove. Looking back at those early years, it’s almost impossible to think about how far we’ve come, but it’s not surprising. From the beginning, Metropolitan Industries has prided itself on being experts with a dedicated focus. We were and have remained family owned, family operated and, perhaps most importantly, family oriented. We’ve always believed that doing the right thing for our customers and our people would lead to all the right things for Metropolitan as a business and, thus far, that seems to be the case. 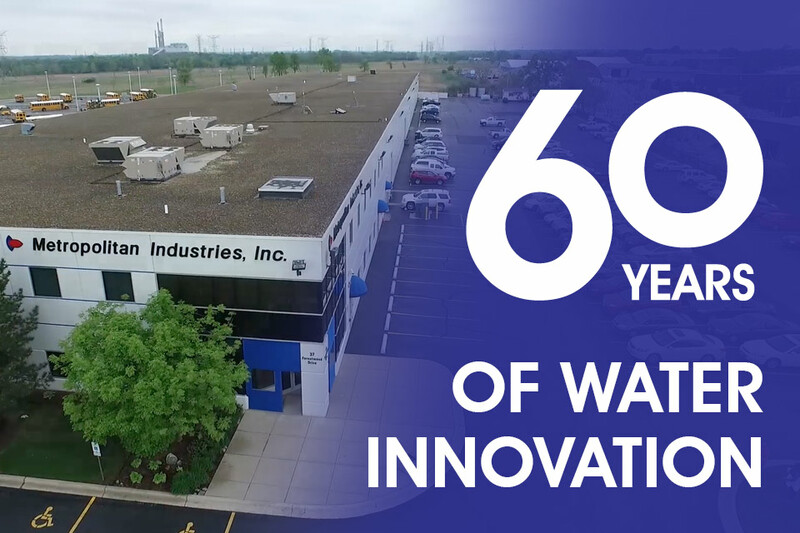 As we stare down our 60th anniversary and plan for the years ahead, one thing remains clear to everyone who walks into our Romeoville, Illinois facility: We need to evolve and grow with the industry, but we should never change who we are as a company. When Marty Martinson and John Kochan, Sr. set out to disrupt the pump industry in Northern Illinois and the larger Midwest region, they were focused on one thing: Specialization. When Marty realized that generalization and a general lack of technical knowledge in the industry was preventing sales reps from offering in depth education and service to customers, he saw an opportunity to offer something that was sorely needed. In no time at all, Metropolitan caused a major shift in the market by narrowing our focus and increasing specialization. Even back in 1977 when we were profiled by Supply House Times and operating with only 20,000 SF, the Metropolitan team was dominating the Chicago and Northern Illinois markets by offering unmatched service. This new, focused approach also allowed us to offer extensive pump servicing through repairs, preventative maintenance, and 24/7 availability, all of which are still part of our core offerings today. By starting with a dedicated specialization and remaining true to that focus over the past 60 years, Metropolitan has been able to grow with the industry while also helping to shape its evolution. From basic commercial and residential pumps, boilers & heating solutions to innovative control systems, cellular communications, and system alerts we could have only dreamed of in 1957, we’ve covered a lot of ground in just six decades. In a lot of ways, we feel like we’re just getting started and that’s largely due to the people who’ve helped us get this far. We keep a copy of the previously mentioned Supply House Times issue in our office, flipping through it from time to time to remember our past. However, in some ways that issue also says a lot about our future. Some of the faces in the photos that accompany the story still work at Metropolitan today. Their positions may have changed and grown over the years, but their commitment hasn’t wavered and neither has ours. As a company, our dedicated workforce has risen to over 150 team members filling our current 100,000 SF facility where we’ve been for 18 years – as well as our remote Emecole Metro facility – and we’re once again looking to expand our footprint to keep pace with demands. However, the tenure we see also extends beyond our team members and into the customers and that we serve. Many of the relationships we’ve developed with our customers — municipalities, contractors, design engineers, etc. — over the last 60 years continue today. Between routine servicing, necessary pump-system expansions, or upgrades to ensure that our customers have the best equipment to meet their needs, we’ve maintained these relationships through trust, demonstrated expertise, and continuing to better understand the needs of the market. As part of our mission to remain focused experts in the pump industry, our organic growth has also been supplemented by notable acquisitions. In 1993, our acquisition of Reliable Electric Controls expanded our electronics business, helping us offer more advanced control systems that complement our pumps. More recently, in 2016, our acquisition of Emecole helped us branch into areas of facility maintenance by providing industry leading concrete repair chemicals and waterproofing solutions. All of this is to say that we’ve definitely expanded over the years. However, though our focus has broadened in some senses to cover the larger definition of pump systems, we’ve remained true to our original goal: Specialization. Fortunately, that specialization also applies to our dedication, service, and every part of the larger Metropolitan team, inside our facility and out. Regardless of the evolution of technology and infrastructure, we are, as we always have been, Metropolitan Industries.